“Russian Aggression Prevention Act of 2014”: Another U.S. Style Violent Regime Change? Governors and the Director of Voice of America to increase and maintain through fiscal year 2017 «United States-funded Russian-language broadcasting into countries of the former Soviet Union,» including Ukraine, Georgia, Moldova, and Russia itself. Alarmingly, the bill also calls for the halt in further nuclear arms reductions under the 2010 New START treaty, returning the world to Cold War nuclear politics. Under the proposed legislation, Poland, Estonia, Lithuania, and Latvia, and «other countries» would see substantial increases in U.S. military assistance. Also, significantly, the bill would elevate Ukraine, Moldova, and Georgia to the status of «major non-NATO allies» of the United States, a status enjoyed by only 15 nations, including some of America’s closest allies that are not members of NATO. These non-NATO allies presently include Israel, Australia, Japan, South Korea, New Zealand, Philippines, Thailand, Jordan, and Bahrain. All these countries host U.S. military personnel and bases and they receive large amounts of military supplies from the United States. The act also authorizes U.S. military to increase the current tempo of exercises and military-to-military exchanges in Ukraine, Georgia, Moldova, Azerbaijan, Bosnia and Herzegovina, Kosovo, Macedonia, Montenegro, and Serbia, bringing these nations closer to the NATO military and political infrastructure. 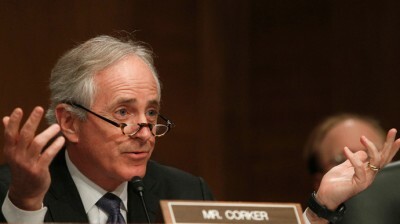 Corker’s bill, avidly supported by McCain and other neocons, appears to be as much a Corker-McCain «personal enrichment law» as it is a «Russian aggression prevention act».